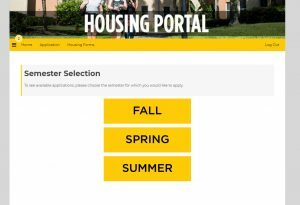 The application process for on-campus housing at UCF is done through the myUCF portal. This process has recently changed. 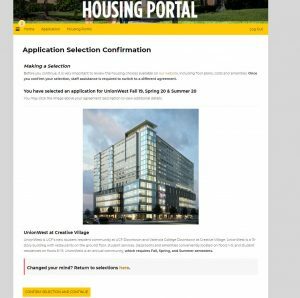 Fall 2018 housing applications are closed. 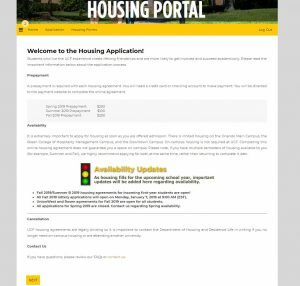 Click on Student Self Service > Housing > Housing Portal. Make sure to read all of the information on the welcome screen. 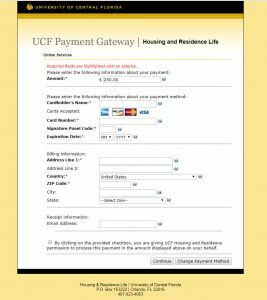 Review your Personal Information as provided by Admissions. Provide a Parent/Guardian email if you would like (required for students under 18). 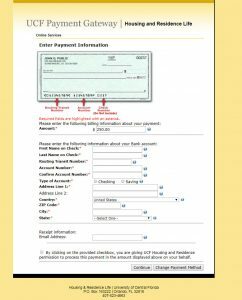 Answer additional information questions accurately. (For more information on the concerns addressed, please see our Health and Safety section. 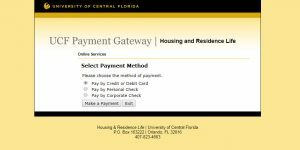 My gender shows up incorrectly in myUCF. What should I do? 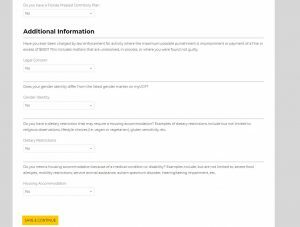 Read the Terms and Conditions of the housing agreement carefully. 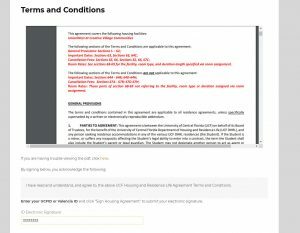 Print or download a copy of your Terms and Conditions for your records. 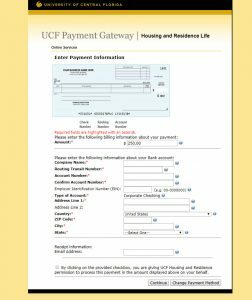 Electronically sign your housing agreement by entering your UCFID and clicking SIGN HOUSING AGREEMENT. 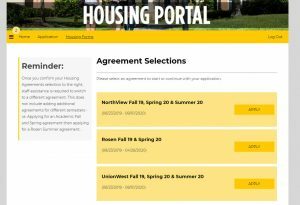 After signing, the portal will display the current status of your housing agreement, including what type of housing you have applied for, your Housing Agreement Signature Date, if a parent/guardian has acknowledged the agreement, and the method of payment. 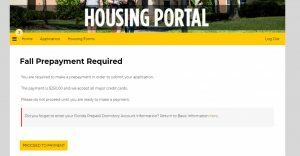 Do not assume you have on-campus housing at UCF until you see a Confirmed status. 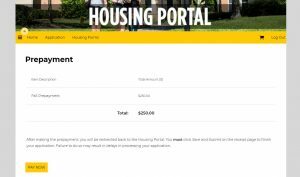 To see the current status of your housing agreement, including what type of housing you have applied for, your Housing Agreement Received Date, navigate to the Housing Portal in myUCF. 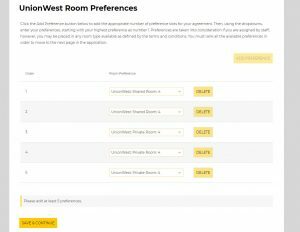 Any applications you have started will show in your Agreement Selections.